Drive means motion, movement, dynamics, precision, stamina, continuity and much more besides. Whether it is the management of processes or optimized operator instruction or controlled axis movement, all of these require supervision combined with logic, primarily based on the choice of correct technology. What started with six employees in 1972 has now become a global medium-sized operational concern, with a workforce of more than 1300, with 850 of those employees working at the headquarters in Barntrup. 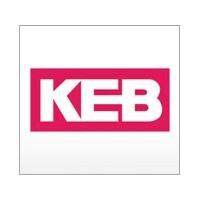 KEB is still in the second generation of the family, and are constantly growing.